Doctoral Gown Mainly Based on Height and Chest Size,if you no sure please contact us indicate your height,chest size together with your weight. 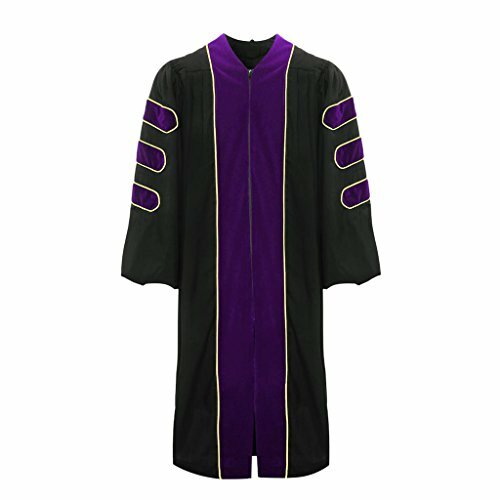 Doctoral Gown is Fully Tailored with Cuff Sleeves and Finished with a Cord and Button below Back Yoke;Hand Made Rich Fluting Extend over the Shoulder and Back. If you have any questions about this product by lescapsgown, contact us by completing and submitting the form below. If you are looking for a specif part number, please include it with your message.